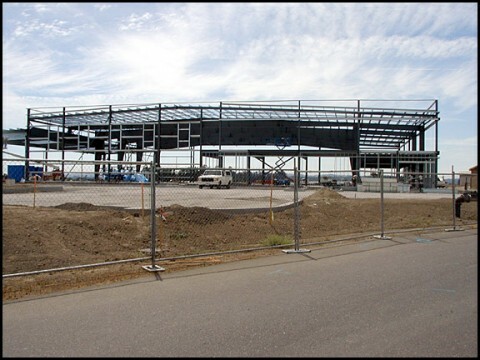 The new REACH hangar facility at the Charles M. Schultz Sonoma County Airport has hydronic heating in 6,000 square foot floor section used for maintenance and repair of the their emergency aircraft. 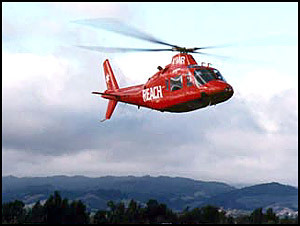 REACH is an air ambulance transport service, which provides rapid assessment, intervention, and safe transport of critically ill or injured patients of all ages from the scene or referring facilities. LeDuc & Dexter’s Hydronic department manager, Tom Schefer, oversaw the hydronic installation at the two-story facility that has living quarters for on-call emergency personnel. 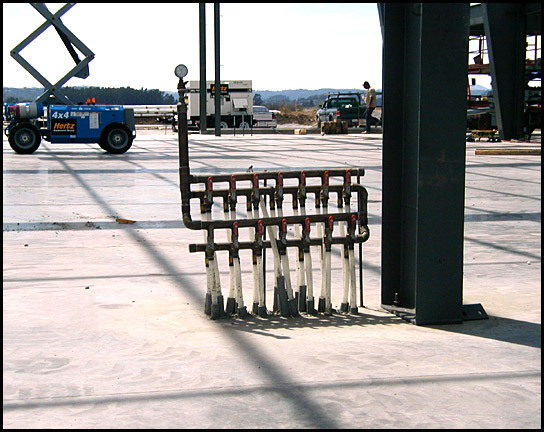 Schefer used ¾” tubing for the hydronic layout, “Because of the size of the floor and the long run of tubing, the ¾” tubing had to be used to keep the floor warm. Tubing is typically ½” for residential installations.” The REACH facility floor has 11,000 feet of polyethylene PEX tubing for the hydronic heating system. The water temperature going out from the boiler and through the hydronic tubing is 115 degrees and 100 degrees as it returns to the boiler at the REACH facility. “The floor will be 85 degrees in the winter to properly heat the area,” says Schefer. Because the hangar has a cement slab floor and a 30-foot ceiling Schefer says, “Hydronic heating is the way to go to heat the area where maintanence personnel will be working during the cold winter months.” Personnel will be walking and standing on a huge cement slab and close to the floor as they move around and under the aircraft for maintanence and repairs. The hydronic heat with its radiant properties will keep personnel warm without wasting heat far above the work area that makes traditional heating systems expensive for spacious facilities like this, “REACH will be saving on their gas bill with this hydronic heating system,” says Schefer. In addition to the hydronic heating, LeDuc & Dexter’s commercial department is installing heavy-duty floor drains for aircraft wash downs and extensive roof drainage system for the expansive roof, along with plumbing for the living quarters that include restroom, kitchen and shower facilities.